Prosthetic hands are artificial hands used by the people who are born with disabilities, who have developed some disease, or who have met with an accident, which has made them incapable to use their hand and hence must rely on artificial hand. Use of prosthetic hand is not a new practice; it rather is the matter of technology which is being used. 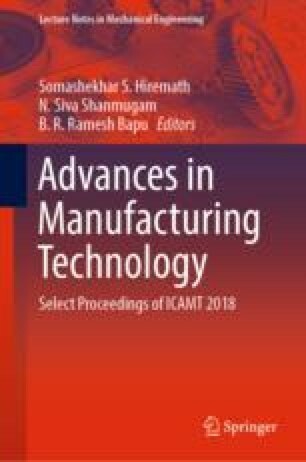 This chapter details the designing, analysis, and manufacturing of suitable active controlled prosthetic hand, which can perform some complicated hand gestures. Four fingers, thumb, and a palm were designed, and the analysis was made in SolidWorks 2016 by applying necessary boundary conditions. The finite element analysis predicts the safe design under desired conditions. A mobile application with Bluetooth connectivity is developed for the voice-controlled feature for the better implementation. The MIT’s ‘App Inventor’ platform is used for app development, and Google’s ‘speech-to-text converter’ is used for voice recognition. This mechanical prosthetic hand with voice control mechanisms was found feasible for performing regular task of the subjects of interest.